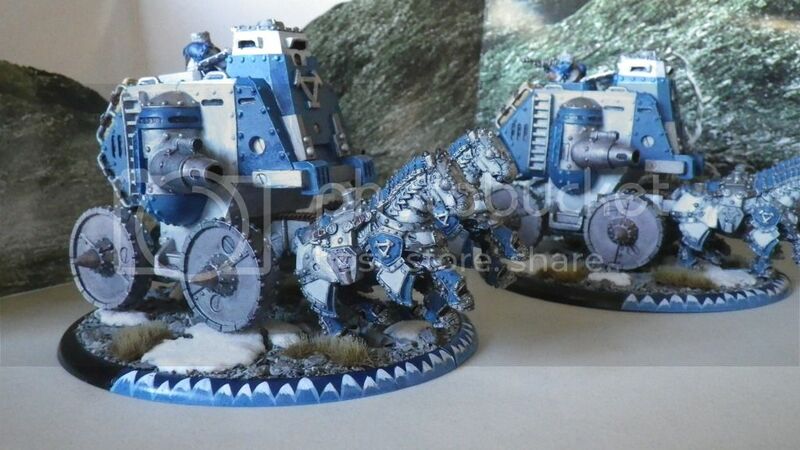 Just finished the Khador Battle Engines "Gun Carriages"
These battle engines make interesting additions to my army - they provide balance between speed, fire power and armour, and most importantly increase focus efficiencies for my casters, they not being warjacks and don't use focus. 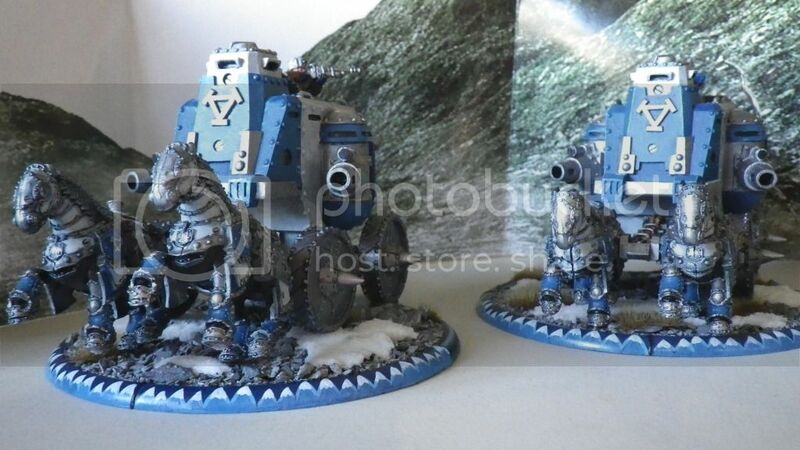 Down point, one of the very few battle engines without a boost ability, nor are they part of a battle group so they miss out on all those cool battle group rules and spells. The Gun Carriage main strength is speed and fire power, add the rough terrain their cannon shells leave behind and you get a good amount of board control. I'm playing both in a 50 point Kommander Strakhov army as he syngenesis quite well with them.